Treatment of constipation joint adhesions infertility radiculitis arthrosis osteochondrosis sciatic nerve rheumatic fever prevention in the home Therapeutic Mud properties recommendation application store to buy traditional medicine. Available in stock. Free consultation. Fast shipping. The creation of therapeutic mud occurs in natural conditions, under the influence of geological processes. In the finely divided state, and mixed with water, are used for medicinal purposes (as applications). Biological factor is formed by the ability to live, death, decomposition and subsequent transformations of the flora and fauna of the reservoir (algae, plankton, microbes). This factor determines the formation of these organic compounds in Therapeutic mud and their bioactive properties. Sulphide muds have high biological activity in comparison with other peloids by the content of nutrient elements. In particular, the hydrogen sulfide present in the form of "free" molecular hydrogen sulfide, sulfides of iron sulfide dissolution. Iron sulfide is the most active component responsible for the increase of cutaneous and muscle blood flow. The content of high concentrations of silicon compounds provides a good trophism skin. It is vitally important trace elements enhance adaptive, and immune defenses. One of the main aspects of mechanism of action of therapeutic mud is the impact on the local inflammatory process. Causing tissue congestion, improve trophism, circulation, metabolic processes, mud promotes the resorption of inflammatory products. Mud procedures promote softening of scars, adhesions resorption, stimulate recovery processes, accelerate the strengthening of callus, reduces stiffness and increases range of motion in the joints. Mud contributes to the normalization of motor and secretory activity of the stomach and normalization of biliary excretion in chronic cholecystitis and biliary dyskinesia, anti-inflammatory and analgesic effect, improves trophism, increasing the immunological resistance. 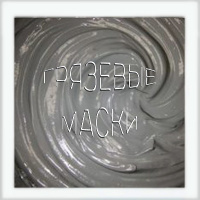 Kuyalnik mud is a bright representative of therapeutic mud, and possess a number of physical, chemical and biological properties that allow them to recognize the reference for therapeutic and prophylactic use. Therapeutic mud Shabolatsky estuary properties. Deposits of silt sulfide therapeutic mud (The mainland, Maritimes, Marine, Lake-key). Deposits of hydrothermal therapeutic mud. In Crimea, the most common are mud deposits as silt sulphide muds (type 3) and Hill mud (Type 4). Indications for mud therapy (mud packs). Treatment adhesion and adhesive processes and others. Many diseases and consequences of injuries of the peripheral nervous system, especially: radiculitis, plexitis, polyneuritis, neuritis - infectious, rheumatic, on the basis of poisoning and the consequences of polio in children. With great success mud is used in many surgical, ENT, eye and skin diseases. Violation of cardiac compensation, angina, mitral stenosis, atrial fibrillation, marked atherosclerosis and others. The dirt just like no one wants to climb is not, and was called "healing mud" - and all there and the money paid.